Relax in the spacious family home of celebrity John Barrowman. 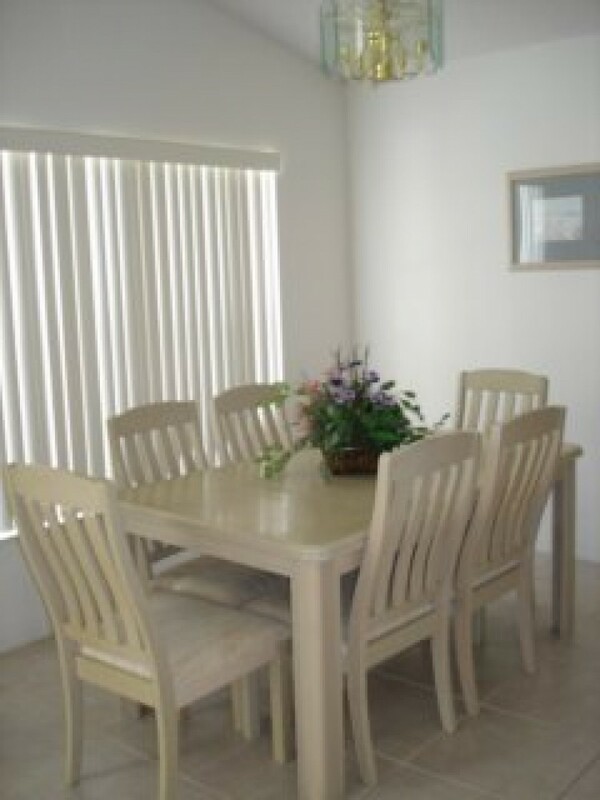 This 3 bedroom, 2 bath villa has upgraded furnishings, with screeded lanai over the private pool & large covered deck. Overlooks the presigious Southern Dunes golf course. Great location, with WalMart, Winn Dixie and a variety of other shops & restaurants within walking distance. For stays of 5 nights or less there is a cleaning fee applicable - $70. $25 per day for homes with electric pool heat (minimum 3 days required) or $125 per week. $40 per day for homes with gas pool heat (minimum 3 days required) or $220 per week. Crib Hire (Pack & Play) - $5 per day. High Chair Hire - $5 per day. Gas barbeque grills are available for rental. The minimum charge is $45 per week. Grills can either be booked in advance or following your arrival. If you wish to hire a gas barbeque grill following your arrival, please call prior to 12:00 noon to guarantee same day delivery. If you are interested in our airport meet & greet service, this can be booked in advance ONLY. Transportation can be arranged for Orlando or Sanford International Airports. Orlando $75 one way $125 return. Sanford $95 one way $160 return.